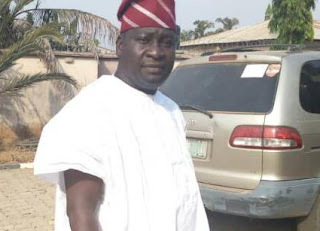 A Chieftain of the All progressives Congress in Osun state, Surveyor Seyi Oke has said residents of the state needed to support the administration of Governor Gboyega Oyetola in order for the full dividends of democracy to be felt. In a chat with Amiloaded in Osogbo at the weekend, Oke said a sacrosanct way of supporting the government is for residents and stakeholders to pay their tax promptly and regularly. He implored the people of Osun to rally around the government of Alhaji Isiaka Gboyega Oyetola so as to achieve huge success. The Oyan-born APC chieftain also said if Osun residents could give support to Oyetola, the economy of the state would experience immense boost. "I want to urge our people in Osun to give maximum support because doing this would usher to us tremendous benefits.
" Regular payments of our taxes would enable the government to provide for us basic social amenities like education, health, water, electricity and good roads. "We owe ourselves the duty in Osun to ensure that the Government of Governor Gboyega Oyetola works and we will all enjoy the dividends," he said. Oke further said that Governor Oyetola has political experience and capacity to govern the state. "Mr Governor is a business guru that knows how to make and bring something good out of minor or almost nothing. He was part and parcel of the immediate past government and therefore, would make a profitable governance of continuity," he stressed. Oke added that by now, masses' impression has changed about Governor Oyetola and that residents of Osun know that he would develop the state.